The United States will be represented by three of its fastest motocross racers when the Fédération Internationale de Motocylisme Motocross of Nations returns to American soil Oct. 6-7 at RedBud MX in Buchanan, Mich. 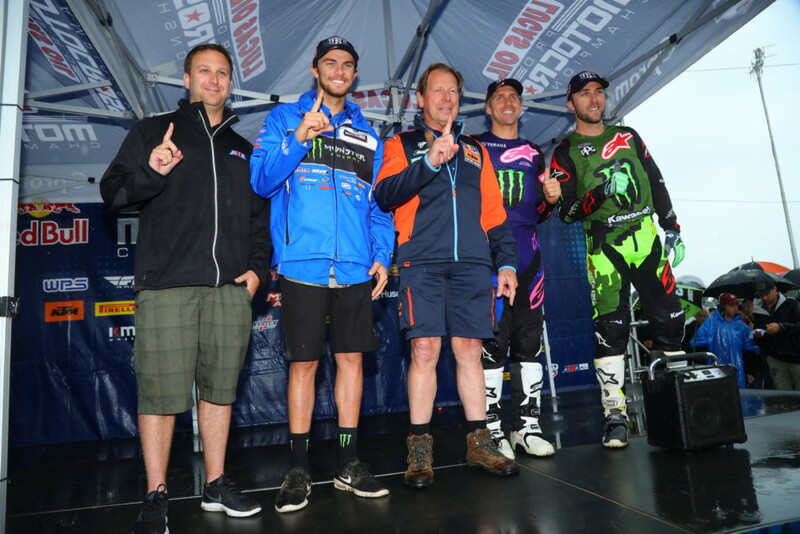 The 2018 U.S. Motocross of Nations team includes 2018 AMA Supercross West 250SX Class champion Aaron Plessinger and AMA Supercross 450SX Class competitors Eli Tomac and Justin Barcia. Aaron Plessinger, Justin Barcia and Eli Tomac will make up the 2018 Motocross of Nations team. It will be Plessinger’s first time competing as a member of the U.S. Motocross of Nations team. He will race in the event’s MX2 Class. For Tomac, 2018 will be his third time competing in this event. Tomac was a member of the 2013 and 2014 U.S. Motocross of Nations Teams. He will race in the event’s MXGP Class. Barcia is no stranger to representing his country on one of motocross’ biggest stages. 2018 will be the fourth time Barcia has been a member of the U.S. Motocross of Nations team. He will race in the event’s Open Class. AMA Motorcycle Hall of Fame Legend Roger DeCoster once again will manage the team as it seeks to secure the world championship. He manages the Red Bull/KTM AMA Motocross and Supercross teams and was a part of six victorious FIM Motocross of Nations teams in the 1960s and 1970s. The last time the U.S. Team won the Motocross of Nations was 2011. The 2017 team placed ninth. Click here for all of the latest motocross racing news.